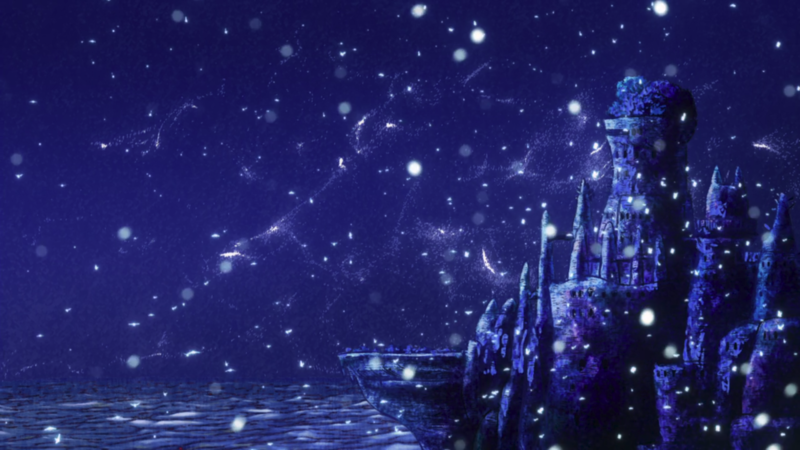 Credit where credit is due: Kujira no Kora (as it will be shortened to from here on out) contains a neat premise what with its expanse of sand, an inexplicable titan, and the cultural norms it creates. It at least has the footing necessary to get the ball rolling (or, in this case, get the “boat” rowing). But as a narrative, as a story, this whole venture sinks rather than swims. Major issues reveal themselves swiftly and without remorse. For instance, the bad guys have a weird tendency to just not really do anything in situations where they clearly have the upper hand, turning specific events into an excuse to push the plot in a certain direction rather than into intense moments that allow it to develop naturally. Moreover, hardly anything is known about these adversaries since the show will go long stretches without talking about them or at least referring to them, missing out on crucial exploration of their side. The trading of information also encounters trouble. Characters like Lykos will hold onto vital clues for very little reason other than to obstruct the narrative. Then, in complete opposite fashion, someone like Aima will descend in front of Chakuro to give him her umpteenth example of deus ex machina so that the plot at least “makes sense” when going to its next part. Quotes must be used there since Kujira no Kora often treads into nonsensical territory. Random characters, such as the older elders, appear and disappear out of nowhere. Certain interactions, such as Chakuro speaking with one of the Nous directly, involves incredulous logic. Important changes, such as Ouni’s newfound powers, have miniscule impact in the aftermath of their discovery. This systemic plague within the writing festers and oozes its way into the more fundamental aspects of the show. An excessive amount of exposition bogs down the flow, and pacing can get too quick which hinders events. There’s also the intermittent comedic relief. It stilts the tone since people are literally dead or dying and such jokey asides clash hard with the serious morbidity. Even disregarding the comedy, Kujira no Kora breaks apart with its drama and its action, the areas that make up the bulk of its story. On the drama side, it’s tough to care about the loss of life which occurs. It tries to be emotional insofar as those who perish usually represent major figures in the lives of those nearby, but the lacking presence of these people to begin with prevents the drama from landing. On the action side, not enough happens to justify the skirmishes. Those who are Marked have essentially magical powers, but their abilities and their usage rarely (if ever) aim for an interesting angle let alone reach memorable status. Problem after problem hounds this story nearly every step of the way. It’s largely incompetent, and its premise simply cannot carry the glaring mishaps and the ludicrous inadequacies that weigh it down. This vessel doesn’t just sink; it implodes. While the show may not recover from the damage to its narrative, Kujira no Kora at least dazzles with the artistry at its disposal. Chief among its wonders is the color palate. 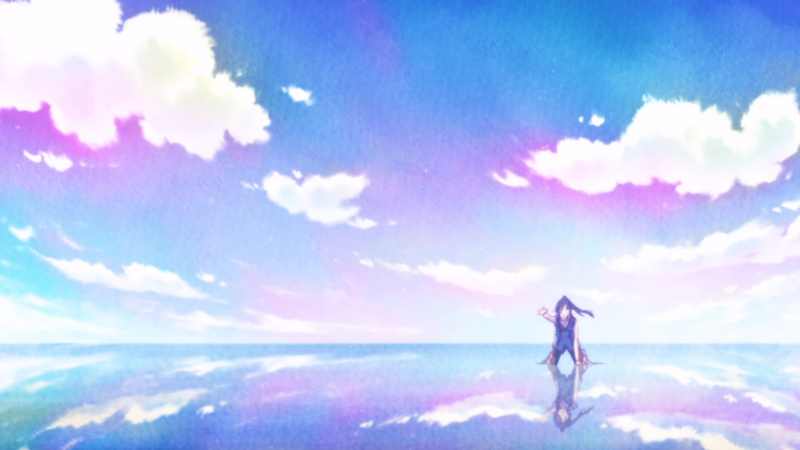 The anime opts for a watery fade to achieve its softer hues, coinciding with the sea motif and forming the watercolor looks for many of its visuals. It also chooses much lighter colors in general: pinks, teals, yellows. They add a vibrant contrast not only to the darker blues and purples but also to the overall darkness of the mood at hand. The rocky outcropping the characters call home also gets attention. Craggy walls and earthen stone encase their lodgings. Rudimentary holes act as rough windows. Quaint amenities line their rooms. 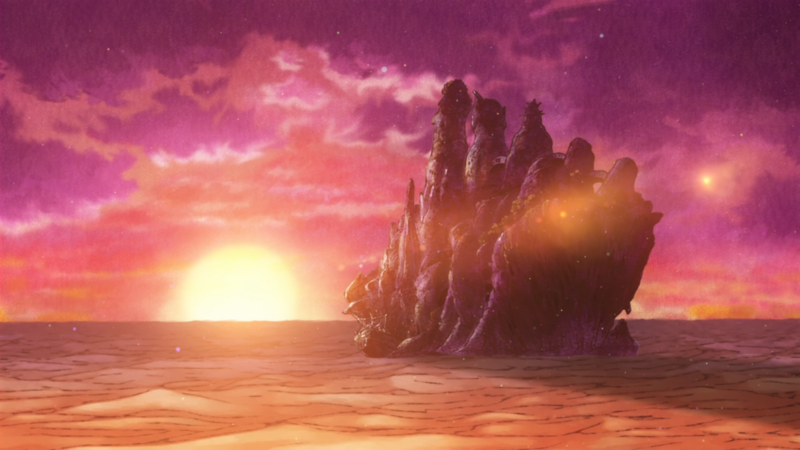 Vegetation on other floating islands and the regal cities of the “normal” people have a place, but this monolith of mud and clay captures the rustic intent of the anime. Combining the colors and the setting provides the show with ample opportunities to highlight the beauty of this world. Again, it almost never leaves the static ruins of their roaming giant. Yet, when a sunset casts light on their abode or dancing lights flicker in the nighttime air, it becomes easier to forgive the stale variety and to appreciate these gorgeous segments. While the art and the artistry often impress, the more nuanced, technical side of things isn’t as captivating. Cinematography remains standard for many of its scenes, and the actual animation during bouts or as they go about their daily lives stays relatively straightforward. Kujira no Kora prevails with other details, though. The designs for its characters fit the scope and the lore of their era and their culture as loose clothes, accessories, sandals, and other simplistic garb invoke a native feel to their looks. And above them, a painted, almost canvas-esque sky stays aligned with the painted vibe of the art, granting an awe in all directions. Overall, the anime contains some rather good artistry. One can’t complain too much here. 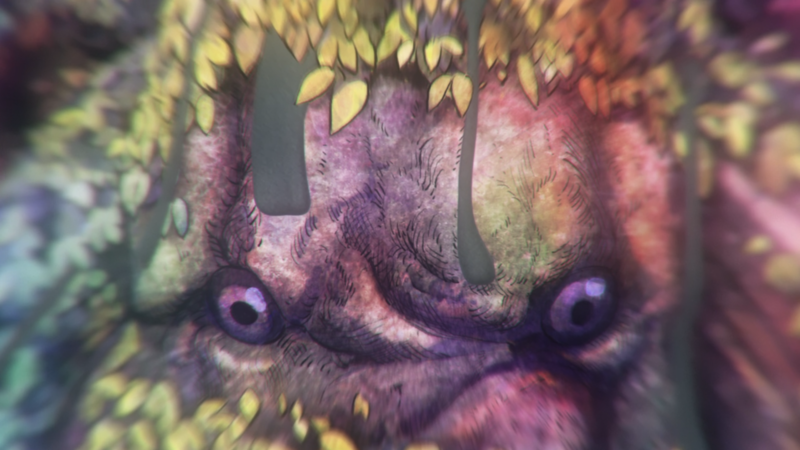 The characters within Kujira no Kora, however, cannot evade complaints. Chakuro takes the helm of this “ship” as the lead star and the narrator, speaking of his account aboard their home and his knowledge of the Falaina people (i.e., his people). However, he’s entirely too passive to be considered a worthwhile character within the anime. Not that being passive is inherently a problem; it’s that that’s all he is. He’s a writer at heart, so it’s understandable that he stays on the sidelines during fights (even if he’s apparently a very strong thymia user) since he has little in the way of battle training. But he contributes almost nothing else. He watches events play out, and he cries a lot, yet he just laments the situation and goes along with nearly everything that happens around him. Deaths of dear friends do affect him, so he’s at least attuned with the gravity of their dilemma. That’s not saying a whole lot, however, when he won’t speak up even if he knows the causes behind it. Worse yet, Chakuro will constantly talk about wishing to record the stories of his people for historical purposes episode after episode, but his progress on this front must be minimal because Kujira no Kora rarely showcases him doing as such. I.e., he talks the talk but does not walk the walk. Chakuro is so bland and so useless that it’s a miracle to see him connected to this story whatsoever. Lykos is a walking blob of a character, too. She begins as a blank slate of sorts, harboring almost zero emotion when Chakuro and the others find her. Meaning, the anime primes her for an interesting arc to follow throughout the season. True to its trends, though, Lykos succumbs to the same problems of overt passivity and minute contributions. She receives a tiny bit of backstory near her introduction, and she’s related to the main baddy, but the extent of her presence stops there. She barely says or does anything meaningful despite her growing emotions. Lykos maybe-possibly develops feelings for Chakuro, indicating her recent changes on a psychological level. Sadly, their relationship neither goes anywhere meaningful, has a resolute foundation, nor is challenged to any significant extent. That is to say, just as they are individually depleted as characters, the bond they share turns hallow as well. 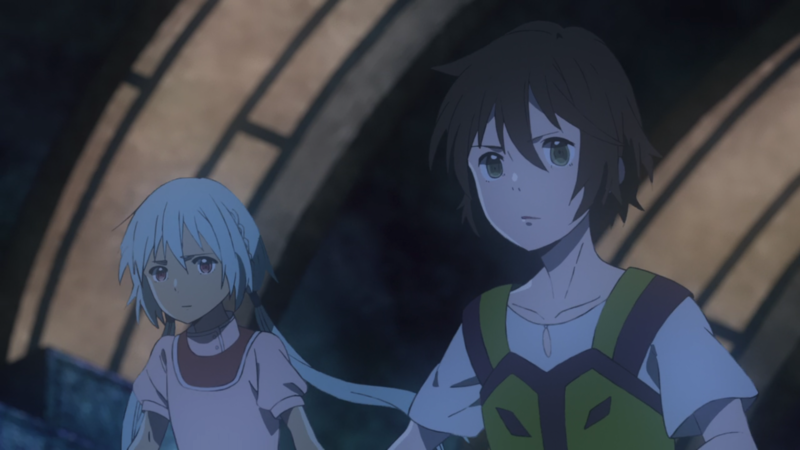 Besides these two leads, Kujira no Kora includes side characters who likewise fail to meet a proper spot. Shuan, the eyepatch guy, is the outlier amongst everyone insofar as he cares not for anything, including (apparently) his own wife. But he’s almost too much of an outsider, leading his small asides to register as inconsequential moments without much follow-through. Then there’s the purple-hair goofball who gets some pretty vital backstory right before a key scene in his arc. It demonstrates a complete lameness in the character writing, aggravated further by his absurd motivations. Perhaps the only two notable characters in the show are Suou and Ouni. Suou becomes the voice of reason whose nonviolent ideologies struggle against the fear and the hatred which brews in the hearts of his fellow thymia users. He’s the anchor of hope that the rest of the characters look up to, a mature person who himself has a lot left to learn. As a supporting character, he’s at least beneficial to the ensuing plot. Ouni is arguably the most well-written character in Kujira no Kora, but it’s still a weak and precarious backing. The anime sets up him as a conflicted anti-hero who inspires everyone to fight back and who cares deeply for the misfits he has befriended over the years. His never-ending angst and his much-to-be-desired backstory don’t do him any favors, but the personal troubles he endures push him down the right path. A statement that cannot be said for the other two main characters. Unfortunately, Suou and Ouni find themselves drowned out by a mixed bag of other additions to the cast. Sami enlightens the audience to the harshness of their world, Hakuji shows how people can redeem themselves yet, and Masoo reminds everyone of the unfair toll they have burdened. On the opposite side, Oruka is an annoyingly blasé villain in need of depth, and the latecomers from the new country arrive way too late indeed. 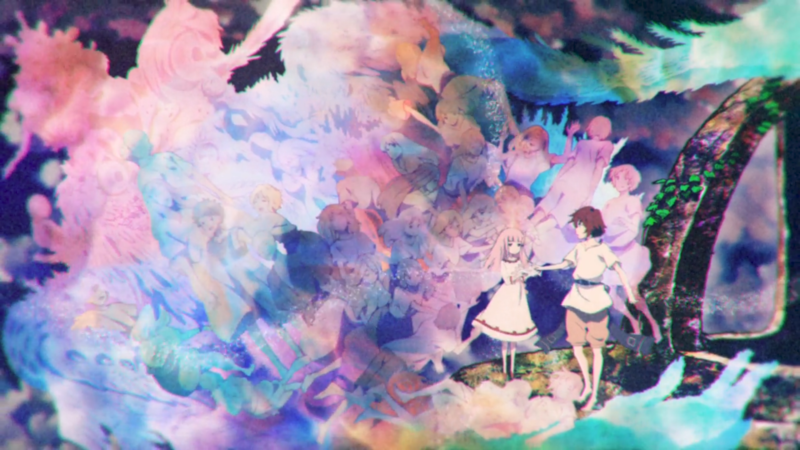 For these characters, it’s mostly just a wash.
A cleansing of the audio is also required for Kujira no Kora. At the minimum, its opening track “Sono Saki e” harbors a hefty emotional tone that strikes at the bittersweet layer permeated throughout the anime. The tender female vocals and the light acoustic guitar strings work in unison to meld this mood, relying on the drums and the shakers for a steady rhythm. It’s perhaps slightly repetitive in its structure, but poignant delivery for many of its lyrics supplant this grievance. 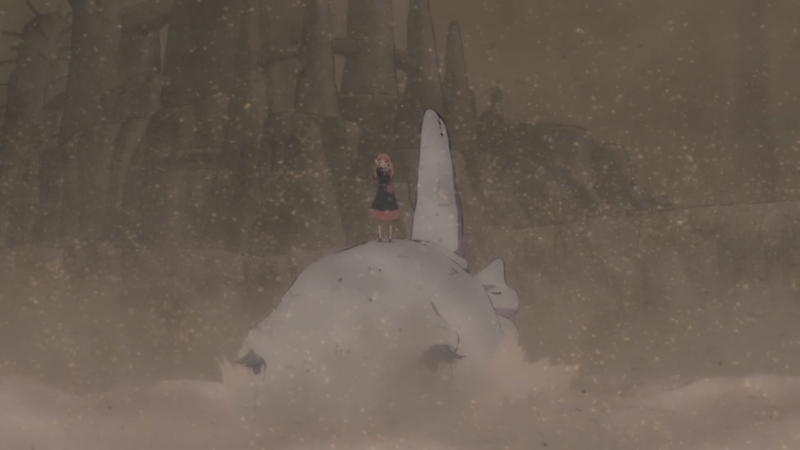 The tail end of each episode brings the ending track “Hashitairo”, another song aiming for that bittersweet tone. However, it dives into it with more gusto. Female vocals and acoustic guitar strings return alongside piano keys, extra backing vocals, and violins to emphasize the bitter half of the term. Unlike the OP, this ED skirts around repetition, yet the middle section of the track meanders to a questionable degree. Still, the poetic, story-like lyrics introduce a complexity that befits the song’s equally complex emotions. While neither the OP nor the ED stand out as too impressive, they at least do not go down the contemptable route of its semi-insert songs. 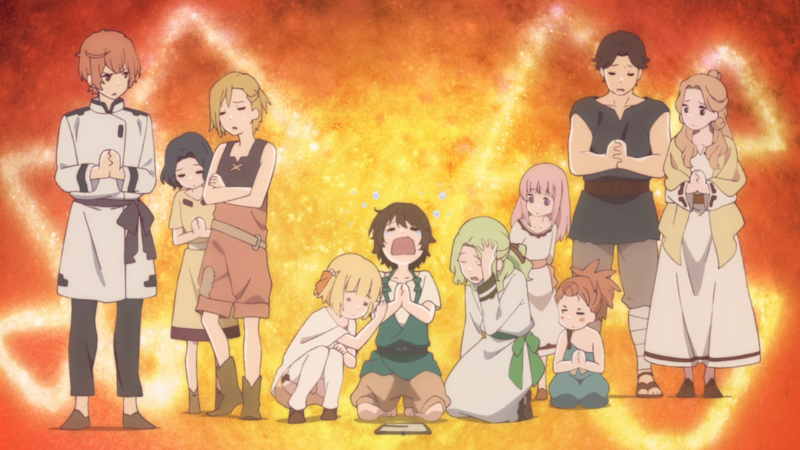 Over the course of Kujira no Kora, a few musical numbers per se pop up to crescendo as sweeping emotional points in the story. Per usual, though, they fall flat. Sometimes they’re way too out of place, like as the prelude to a battle about to commence. Sometimes they’re too methodical, like as the beginning of the end to the story’s conclusion. Whether melancholic or uplifting in nature, these songs are easily the worst audio decisions in the anime. The majority of the rest of the audio elements simply pass the mark. Heavy cellos and quicker instrumentation coincide with the somber and tenser parts of the anime (respectively), but the collection of tracks it touts leave behind nothing all that memorable. The voice-acting performances similarly lose out on any standout mentions. And the sound-effects, regardless of the thymia possibilities, remain par for the course. In short, the music and the sound fairs slightly better than the other aspects of Kujira no Kora, but it ends up in the red anyway. To say I disliked this anime would be an understatement. The weaknesses throughout the season were already enough to make it a soured and sorrowful experience, but the anime goes that extra step further with some more baffling choices. Key among them involves a certain purple-hair antagonistic who shall go unnamed still for being absolutely insufferable. Jim Carrey as the Grinch put it best: “Loathe entirely” describes this annoying, eye-rolling, grating nuisance of a character (intentional or not). Yet the show steps it up again by making him into a literal personal jester later on, increasing his loathsome behavior to another level after what should have been his leave. He pretty much deserved such a fate for being a psychopathic lunatic, but, having hit maximum on the hated scale beforehand, he breaks it afterwards. He has now become one of my least favorite characters I’ve ever had the displeasure of viewing onscreen, and I pray I never have to see him mentioned anywhere ever again. Furthermore, I couldn’t take the anime very seriously at all. There’s a distinct part in episode five that is one of the most unintentionally hilarious moments I’ve ever seen in a long time, if not ever. The Nous creature gets hit by an arrow, and its reaction is priceless. The scream, the eyes, the camera zooming in and out. It was a trifecta of funny that wasn’t meant to be so but got there anyway. Also why would throwing sand at each other equate to a worthwhile pastime for these stranded people? I get that they must be bored out of their minds out there, but the fact that nobody seems to question such a dangerous activity comes off as irrational. Maybe I’m being nitpicky over such a tiny detail, but it just goes to show how frustrating this whole project ended up being for me. It’s empty. It’s inane to watch. It’s borderline bottom of the barrel. When this one did finally wrap up, it boldly declared that, “The journey will continue.” I can acknowledge its confidence for future success – but that’s as far as I’m willing to extend my olive branch. Kujira no Kora wa Sajou ni Utau fails miserably. Like a golden toilet, it shines on the outside thanks to its beautiful art, but, on the inside, it contains excrement in the form of poor narrative writing, odd musical choices, lame characters, and unappealing entertainment. A whale of a time it is not.